Utah Clear the Air Challenge! 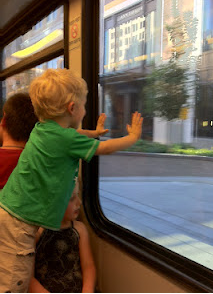 My kids LOVE Trax! They also love taking walks so this challenge has been a blast for them. :) Utah has started a program where we can all work together to help our air quality. The Utah Clear the Air Challenge runs from August 1st to the 31st and it's an opportunity to set goals and see how we can improve. I have really enjoyed being involved in this challenge because it's helping me to be aware of my little family's impact on our environment. I also want to show my kids good habits. I recommend signing up even if it's only to set goals.